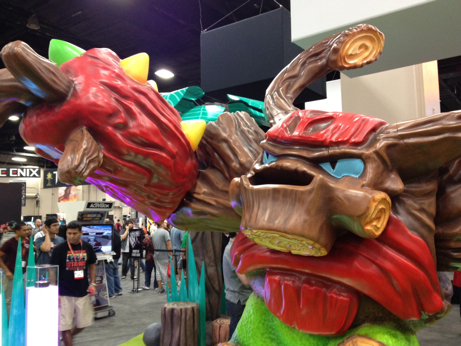 Yes, we know PAX Prime was huge, but the retail giant put on quite a show in San Antonio. 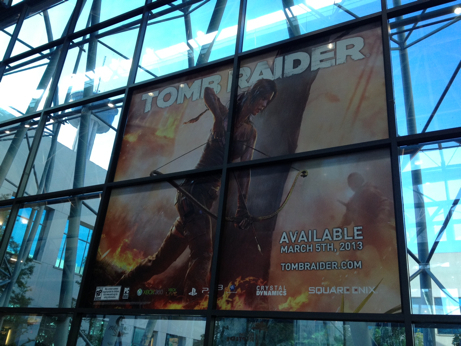 PAX Prime 2012 recently came to a close, but it wasn't the only video game show that grabbed headlines. Last Wednesday, August 29, GameStop held its first fan expo at the Henry B. Gonzalez Convention Center in San Antonio, Texas, and the event drew an impressive 2,223 attendees from around the country. Yes, just a sliver of the PAX crowd, but important all the same. Keep the calendar handy, because you just might have another event to attend next year. To be fair, we didn't know what to expect from the GameStop expo. The company holds its manager's conference annually, but 2012 marked the first time it was open to the public. More specifically, PowerUp Rewards members. That said, there was a chance, however slight, that we'd leave somewhat disappointed, either because of low attendance, a lack of games or both. Thankfully, the expo delivered on all fronts. Not only was GameStop pleased with the number of people who showed up, but the video game industry was out in force. Nintendo brought the Wii U, giving players the chance to go hands-on with the system ahead of its rumored November 18 release. Titles on hand? New Super Mario Bros. U, Pikmin 3 and Nintendoland, to name a few; there were also 3DS titles on display, like Luigi's Mansion: Dark Moon. Next up was Ubisoft. The publisher had Assassin's Creed 3, ZombiU and Far Cry 3, much to the delight of the crowd. Activision may have stole some of Ubisoft's thunder, though, with Call of Duty: Black Ops II multiplayer, which drew constant lines throughout the day. Other highlights? Sega unleashed Aliens: Colonial Marines, Microsoft had both Halo 4 and Gears of War Judgment (Free-For-All) multiplayer, while Namco Bandai threw down with Tekken Tag Tournament 2 and Sony challenged players to brawl with PlayStation All-Stars Battle Royale. And if fans wanted to leave with some games, there was a makeshift GameStop in the middle of the show floor, created specifically for this event; many replica Gears of War Lancer Assault Rifles were sold. Atlus, on the other hand, gave away free games all day. On that note, there was definitely a conspicuous lack of mobile games at the show. Peripheral maker ION showed off its upcoming iCade Jr., and we could have purchased an Android tablet from the aforementioned GameStop retail store, but we didn't see one mobile/tablet developer at the show. Just a small complaint. 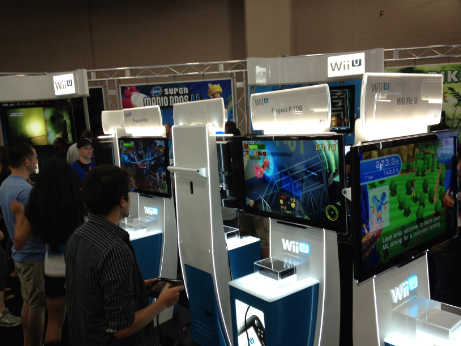 Aside from that, we had a blast at the 2012 GameStop expo. It was sort of like E3 and PAX, except with far less lines to stand in, which ultimately means you can get your hands on the hottest games much quicker. Of course, once word gets out about this show, we expect that to change. On that note, the more video game fans we get to interact with, the better.